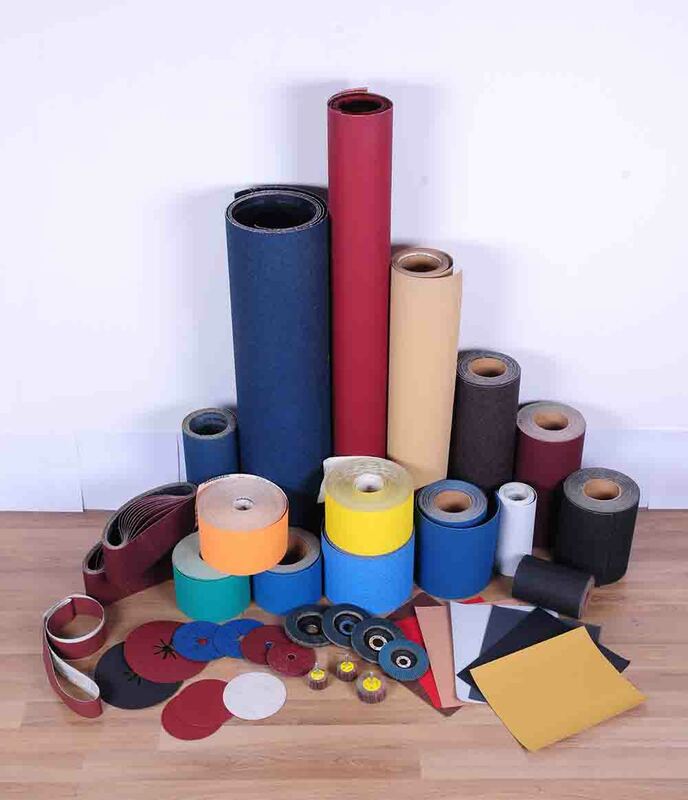 , offering Abrasive Paper,Fiber Disc, etc. 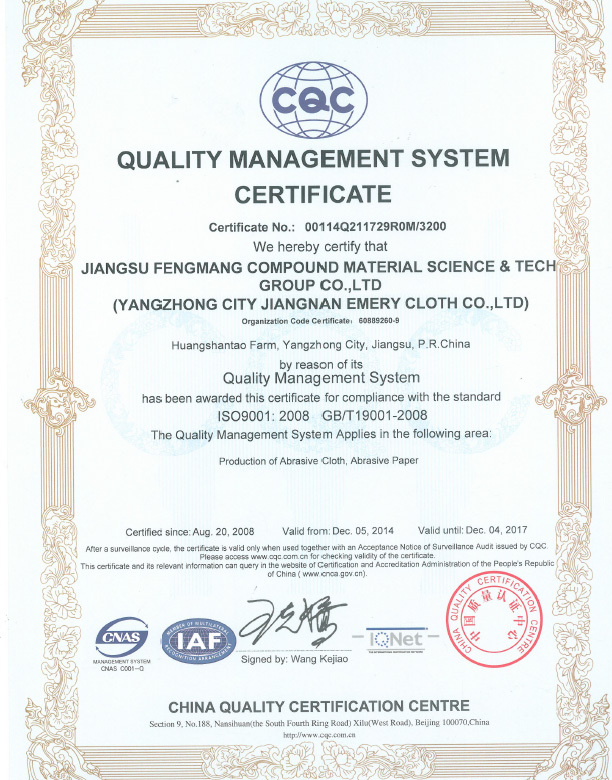 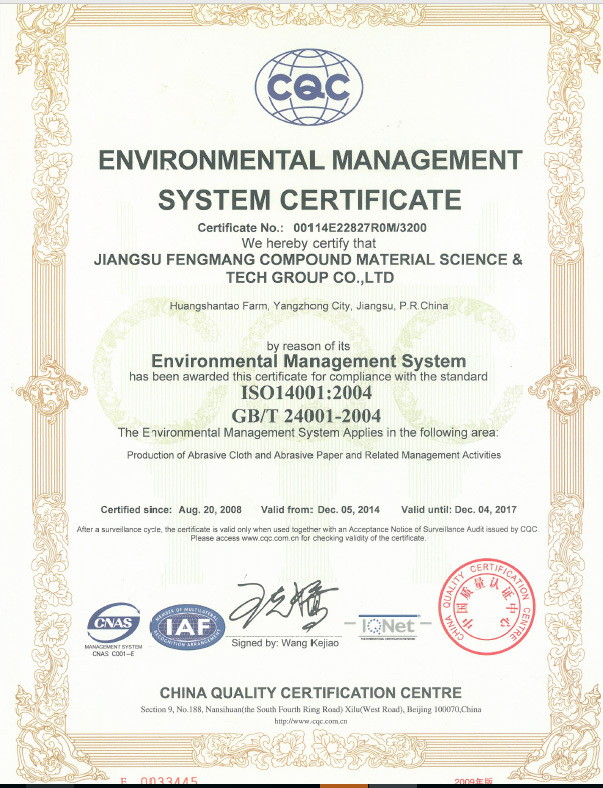 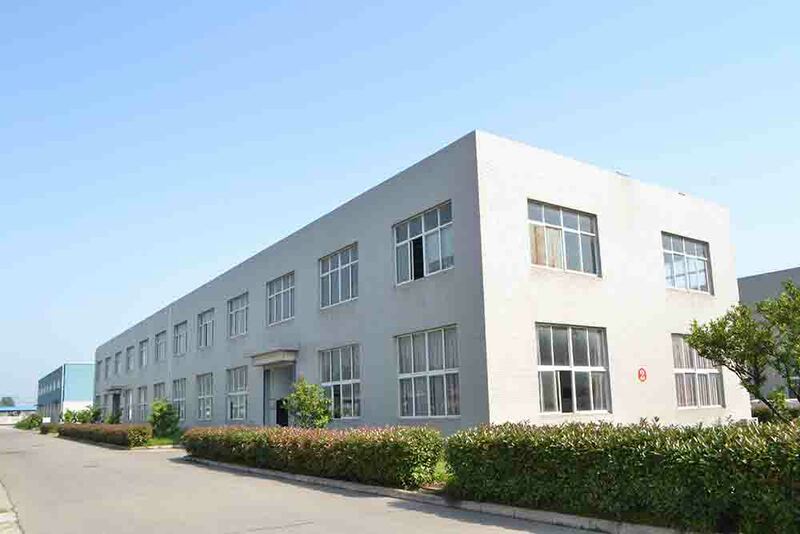 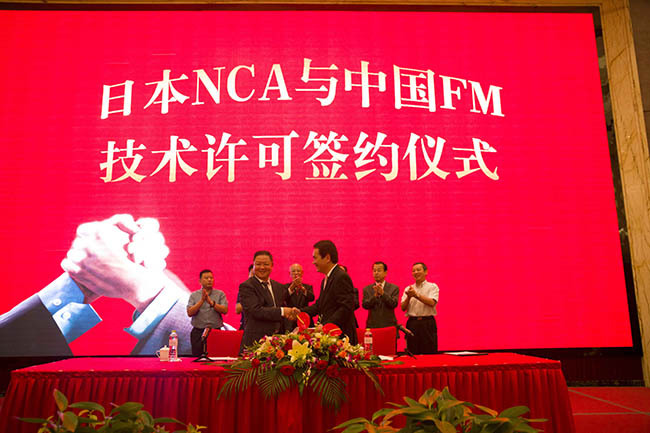 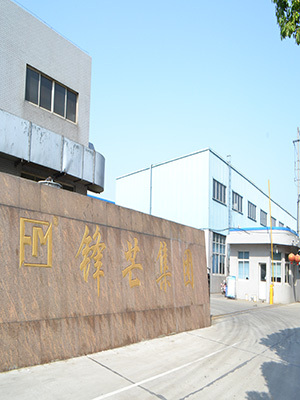 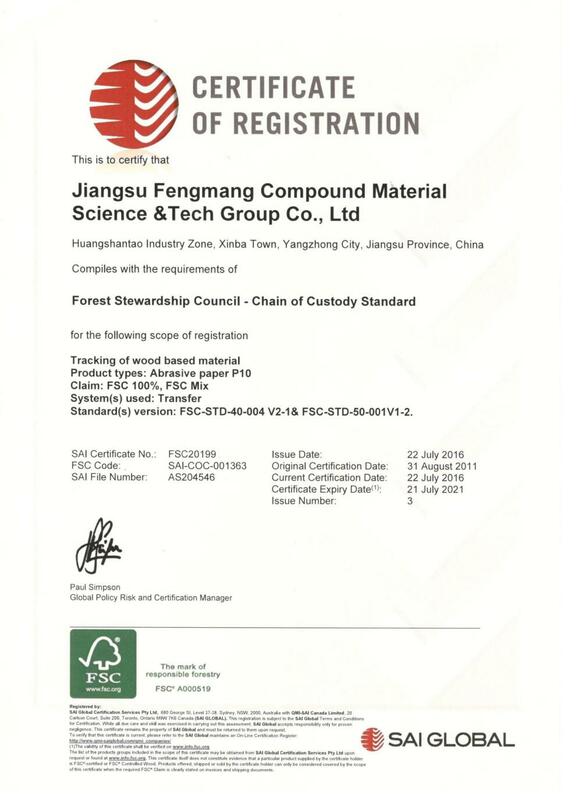 Jiangsu Fengmang Compound Material Science & Tech Group CO.,LTD [Jiangsu,China] Business Type: Manufacturer Main Mark: Worldwide Exporter: 51% - 60% Certs: ISO14001, ISO9001, ACS, API, FDA Description: Abrasive Cloth manufacturer / supplier, offering Abrasive Paper,Fiber Disc, etc. 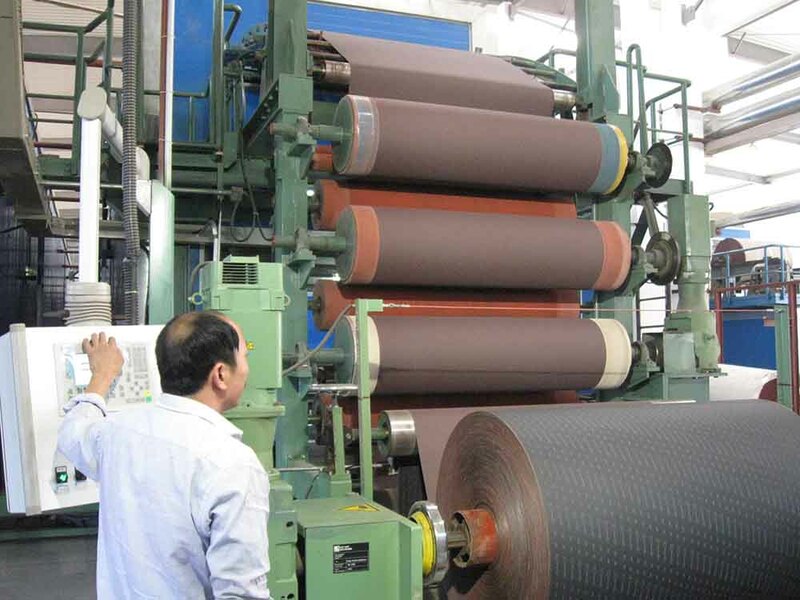 China leading manufacturers and suppliers of Abrasive Paper, and we are specialize in Abrasive Belt,Abrasive Cloth,Flap Disc,etc.Customers are welcome to consult.